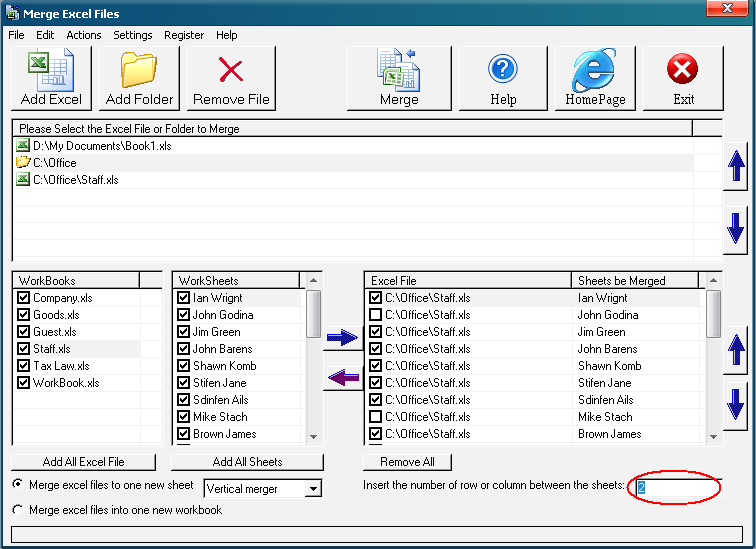 Merge Excel Files software can merge excel sheets into one new sheet or merge excel workbooks into one new workbook with multiple worksheets. 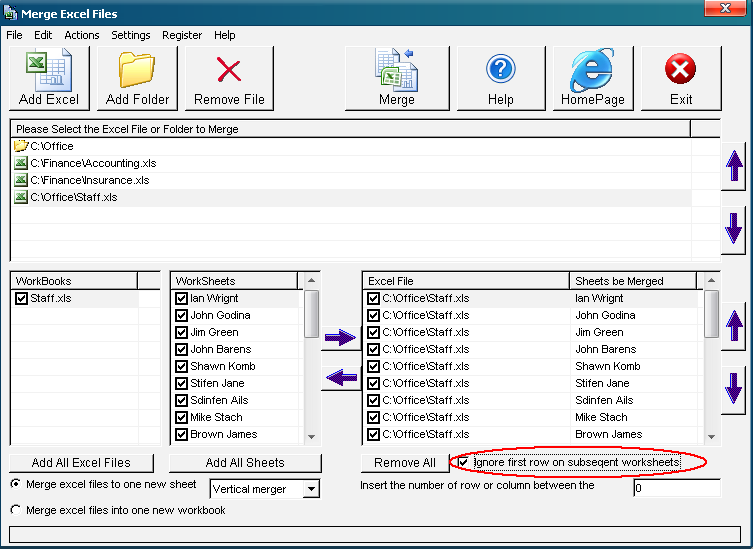 Are you still bothered by the cumbersome job of merging multi-worksheet excel files into one worksheet? You may have to merge excel files into one new sheet or merge excel workbooks into one new workbook, then Merge Excel Files software is your right choice in simplifying your tedious merging work. How to ignore first row/column on subsequent worksheets? How to horizontal merge excel sheets to one new sheet? How to insert a row or column between the sheets? Is your online order form secure? Yes, it is 100% secure. Yes! It's free for registered users. Will my license ever expire? Your license will never expire. What's new in the current version? Do I have to pay for the upgrades? No, it is free, permanent free upgrade.